The innovation of Autex® Interior Acoustic Insulation is a testament to the relentless development of the building and design industry of today. With an excellent track record spanning more than three decades, CHAD Group prides itself as the most trusted provider of Autex® Insulation across Australia. Made from 100% polyester fibres, Autex® interior acoustic products are lightweight, easy to install, and suitable for retrofitting or new building projects. It has no chemical binder and low VOC, meaning it is safe and completely non-toxic. The interior insulation is also highly durable and tested under Group 1 fire rating. Autex® acoustic products are developed to meet the growing demand for efficient acoustic solutions. Able to control reverberated noise, the premium acoustic insulation is a smart investment for home and office spaces that require maximum privacy or prevention of exterior noise. 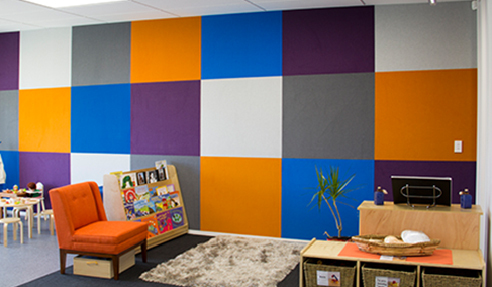 Autex® acoustic products include Etch, Cube, Quitspace 3D Tiles and Panels, and Vertiface. Contact CHAD Group Australia or visit www.chadgroup.com.au to find out more about the Autex® Interior Acoustic Insulation today. I would like to enquire about CHAD.